Lily says: If statement rings, chunky cocktail rings and in-your-face bling aren't your cup of tea then I'm sure, like me, you will fall head over heels for NY-based Catbird's collection of dainty, elegant sparklers. I'd happily wear any and all of the above - but for that I'd need 12 fingers! 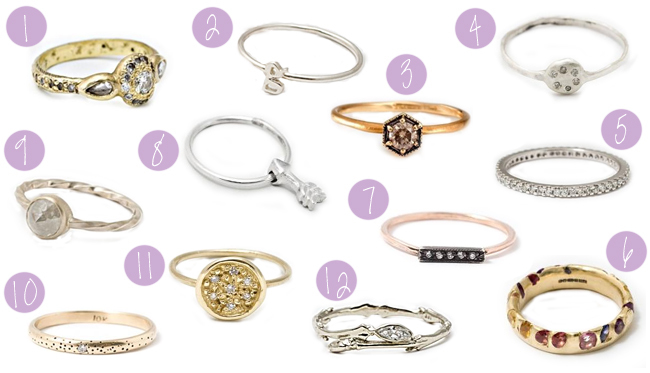 If you could pick just one of these rings to own, which would you pick?